“Some people are pioneers. They kind of walk with a machete in their hand clearing the path for all the other people walking in the same kind of direction. “Hi Anni, I want to express my gratitude for your work and the impact it has had on my life. In just one year my life has changed so much since my AuraTransformation™ in ways I could never have imagined. I set an intention in 2013 to raise my consciousness, not really knowing why. I felt something pulling me. I became a student by reading and taking workshops in reiki, energy medicine, sacred contracts, mediumship, shamanism, nlp, resonance re-patterning, crystals, etc. I benefited from all of these but something was missing. I knew deep down I had the ability to serve others but something was holding me back from being in my power to serve others until I experienced your work with AuraTransformation™ and the Aura Mediator Courses™. Ever since my amazing grounding session with the US Aura Mediator Instructors Teresaa and Sofi prior to the Aura Mediator Course in November, I feel like the barrier to taking full responsibility for stepping into my purpose in life has been removed. Being fully crystallized helps me feel like anything really is possible. It feels amazing!! See other customer reviews on amazon.com here. “I have never participated in a webinar series like this, it was amazing. I met some wonderful women and connected with them later in smaller groups. I learned a lot about energy and how to use it in a proper and marvelous way. I learned to understand myself (in a way I did not know), and others, and why we behave as we do. I learned a lot about how to work and help each other working in a group together. I can only recommend this webinar series from the bottom of my heart. Dear Anni, you opened my eyes and energy in a wonderful way. Thank you very much for all I learned, I recommend you, your books, webinars and all you stand for. “I have just finished module 1 of the transformational webinars and I can’t wait for the module 2 to start in January. I can strongly recommend the webinar to all people who want to go to the next level and be successful and happy here on earth! 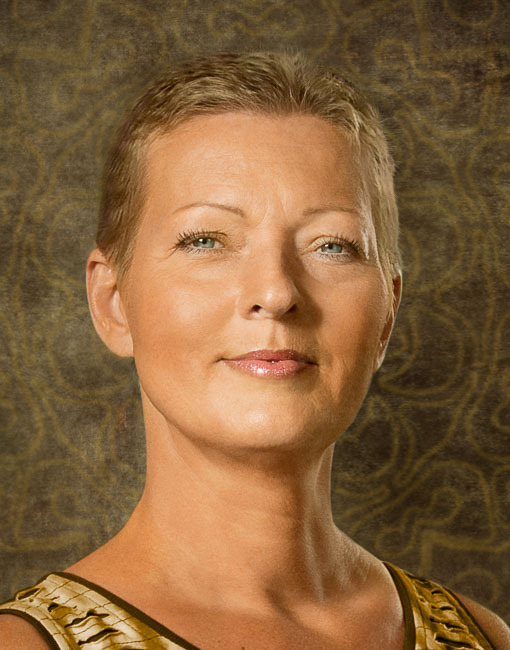 During the webinars, Anni guided us on how to activate the golden energy and how to use it and benefit from it! “I have had the pleasure to have several personal consultations with Anni, and she has helped me a lot on my journey in this life. I’m a stronger and braver person because of her. “Anni Sennov is a woman whom I instinctively knew I had to meet some day. From the day I first read one of her books I felt attracted to her energy and I felt like I had known her for a long time, long before we even met. Anni has the ability to help you see exactly what you need for your inner picture to be clear. She knew exactly what I was thinking and feeling and with warmth and love she gave me the opportunity to see my inner truth that has always been there. When she described how she thought I felt back in time and how I feel now, it was like we were old friends – she was very accurate in her way of describing things! What I was most happy and grateful about during Anni’s balancing session was that I felt strength, pride, and happiness about myself again. I got a feeling that Anni really wanted me to know who I am and how important I am to other people. It’s all because of Anni’s hard work with consciousness transformation and expansion that I now have got this fantastic opportunity to help raise the frequencies of the energies on Earth. It’s amazing to be me! Thank you Anni for giving me the insight and courage to see and accept this! “The first time I read about AuraTransformation (AT) – and Anni – was in the summer 2011 and I knew at once that this made sense for me, only the timing was not clear to me. Then in January 2012 I got my AT and actually even before this I had already decided to participate in the Aura Mediator Course, which I then took part in autumn 2012 in Oulu, Finland. I also met Anni personally as I have also wanted to participate in her workshops and seminars in Finland. This is not because Anni is a guru or she tells me how and when and what to do. The information I get from Anni is something I already know deep inside but I have not been conscious about it. So my consciousness has expanded a lot thanks to Anni. I have got explanations and answers to many questions and I know myself much better now, and I understand my children better too. The books are great, you should have them on your bookshelf because then you will find information at the right time when you need it, the books open up piece by piece. “When having my AT (AuraTransformation™) I chose Anni as I found her energy, through reading her books, warm, uplifting and to the point, like an Instant inspiration and recognition within. You can easily recognize what focus people bring into their work and relationships. Of course you don’t get along with everybody, even if you are heading in the same direction, but in my opinion, Anni has a unique balance and serenity to be the best guide in everyone’s process. I warmly recommend her contribution on the Journey to become the full blossom of your own unique being. “If I had ever any doubt about having an AuraTransformation my meeting with Anni Sennov and her work completely changed that. Her books are easy to read and comprehend, which she highly recommends before an AuraTransformation, and gave me insight in what I was about to receive and how it would work and change my aura and energy. She showed a very skilled competence in her way of working, her way of speaking never left me with any kind of doubt of what was happening through her and with me during the AuraTransformation, which was very reassuring and made me comfortable as her client. “I first met Anni Sennov in 2000, amidst a very hard time. Not only did Anni help me at once both emotionally, mentally and physically by consoling and encouraging me. She also gave me several clairvoyant readings that made me understand myself a lot more, and an AuraTransformation! The AuraTransformation changed my outlook on life forever and accelerated my spiritual standing even more, and Anni gave me back my dignity and hope that I could actually get somewhere in my life, after having been hammered by a really mean person for a long time, threatening my very confidence in myself which had already been compromised by people who had abused me heavily up to where I first contacted her. In the next coming months everything changed for me, and I lived in bliss. I had more clairvoyant power than ever before, more influence on my surroundings too which enabled me to get to where I wanted when I wanted it, although I simply did not use the potential she had enabled in me to the fullest for the reason of not comprehending what had been given to me. I am still learning to come to grips with it! Recently, in dire need again due to another person attacking me, she lovingly assisted me by circumventing the person’s attacks so it became bearable, while I waited for the person to be confronted by the organization he was a part of in order to stop the really vicious and unfair attacks. This has now taken place, but I would never have been able to handle mentally what those people did to me, had it not been for Anni. I want to thank you, Anni, for all of your and your husband’s outstanding help given to me over the past 14 years. For your and your husband’s many outstanding and revolutionary books. You, who is the originator of AuraTransformation, really help people everywhere who are looking for something extraordinary in their spiritual journeys to uplift them to their highest potentials. “Dear Anni, Just felt like sending a note but filled with love. Thank you for you and for all that you share and give to the world (and more), and what you have brought to my life. Many things still puzzles and challenges me but then again life would get kinda´ boring if I knew everything and understood it all… But the experience of integrating the new energies into my life is such a beautiful feeling… and of course even more so that I can also be a part of supporting other people’s journey into the heart-filled and balanced energy. I have always seen the beauty in everyone I meet but sitting down and consciously working and see the gentle but so powerful energy come together is such a bliss. There have been so many days, weeks, months and years where I thought that I was misplaced since I did not get to do what I knew in my heart I would/wanted to do, and felt completely useless. I am so ever grateful and feel so much love for you.